I can formally confirm that Award Health & Safety are one of Kier’s preferred deliverers of Asbestos Awareness training within the Kier Southern Region. I have used them on three projects and found them to be very prompt, diligent and great at delivering what is a mandatory requirement to any person being set to work under all Health and Safety guidance. Chris at Award Health & Safety has also been a particular source of reliable knowledge on the changing world of asbestos regulations. Award have also delivered the asbestos awareness message at less formal events for Kier such as our Spring Reception and SHE seminars to a wider audience of professionals and senior managers. I have no hesitation in recommending them for any work within this vein. Kern Limited have had an excellent working relationship with Award Health and Safety for the past five years, during which time they have updated our Health & Safety Policy and Fire risk assessment annually. Assistance with the format of product and generic risk assessments has been provided, and COSHH Risk assessments have been completed on our behalf. Award H&S have conducted various training courses for us and any health & safety queries have been dealt with efficiently. The staff are friendly and are able to communicate in a way which makes things clear and easy to understand. Choosing Award Health & Safety was one of the best decisions our Company has made, Award has helped us to achieve our 100% health and safety record, by providing us with excellent training for our staff, carrying out spot visits to sites to ensure our staff are complying with the latest H & S requirements. Happy to recommend! We are a building firm in Havant, Hampshire and we sought the services of Award Health & Safety Ltd in September 2012, to give us a professional support system to assist us when dealing with the ever increasing pressure of Health and Safety in the construction industry. Our experience of Award Health & Safety to date has been excellent, extremely informative and responsive for our specific requirements for running projects safely and keeping us up to date with our Health and Safety training programme. Recently we have been successfully accredited by Safe Contractor and with the help of Mr Chris Ward’s guidance through the process it ensured our application was problem free and completed in a short time frame. 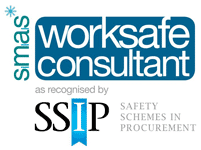 Overall, having Award Health & Safety alongside us is of great reassurance as we continue with our contracts. Lush have been working with Award since 2009 who have helped us to get all our health and safety in order. Chris has been a fantastic help, giving advice when needed, writing our policy, delivering training and updating us on the latest legislation. He is always on the end of the phone to help in a crisis and I wouldn’t hesitate recommending Award to anyone. I have worked with Chris Ward of Award Health & Safety for a number of years. I have found Chris to be very passionate and knowledgeable about Health & Safety in the workplace. He has worked alongside my business for a number of years now and with his knowledge has enabled my business to achieve various accreditations i.e. Safecontractor and CHAS. His training skills are second to none and I would have no hesitation in recommending Chris to any size business. Award Health & Safety provide all my training needs and I know that should I require any advice Chris is only a phone call away. Award Health and Safety have been of great service to Authorn for a number of years with onsite requirements, training and also seeking accreditations from various organisations. They are very knowledgeable with all aspects of site construction health and safety requirements, and provide a prompt and friendly service. We have had the pleasure of working with Chris Ward of Award Health & Safety since November 2011. We have found their advice invaluable and their ability to translate the ever growing health & safety regulations to both workforce and management is effortless! Many thanks to you all. From the chairman of the Hampshire Construction Training Association: The Association has been formed by a number of employers with activities in the construction industry for the purpose of organising and co-coordinating training. The training association receives grants from the CITB annually. I commend Chris Ward and Award Health & Safety for their commitment as a training provider. They also produce and send out a monthly health & safety newsletter, which is well presented with pictures and articles. The publications is well received by operatives and managers. Award Health & Safety provide learning solutions that enable small and large companies to build their capabilities, and thus drive the performance of their organisation through great people management and development practices. They understand how training works, and are experts in designing and delivering courses that provide the tools and motivation to all delegates. As a training provider, they are able to arrange in-house training for a group of people within the company. They deliver courses, short and long in duration and at a time and venue, that suits the business needs. Their short courses are designed to help the people in the company gain the knowledge and skills needed in today’s business environment ensuring they are “fit for purpose”. Whether starting out and need an introduction to a subject, or having taken on a new project or new role and needing to build knowledge and skills in a specialist area, they have the course. They have developed a professional body of tutors, who deliver with enthusiasm, charisma and at a level to suit the delegates. The level of expertise that Chris and his team maintains gives us the reassurance we never need to look anywhere else for advice. When running a business you need partners that you can rely on and we have the reassurance Award Health and Safety will always be there if ever we need them. Award Health & Safety’s delivery of H & S training to our staff at ParCar Ltd, also the health & safety advice & support to our team, is second to none. The Dorset Construction Training Forum which has 58 Dorset based construction companies as members have been working with Award H&S for four years. During this time Chris and his team have delivered a number of H&S courses to our members. 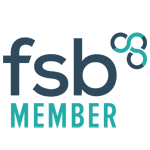 Award are an extremely helpful and knowledgable organisation, I value their updates on the latest H&S issues that our members have to consider and their flexible approach to our demanding training needs. Two years ago we first heard of Award H&S when we were looking for a local company to provide training for us, as our current H&S consultants worked out as non cost effective solution. Chris came along and carried out the training for us and the amount of positive feedback I received from operatives and management was unbelievable. They liked Chris’s teaching manner in the way he made things simple and put things into basic English that everyone understood. During the next two years Chris kept enquiring about his company taking over all our H&S requirements, and informed me of all the benefits of doing this and how he could help….At that time I never realised how true this was!! At the beginning of the year after long talks we decided to pay the extra money and bring Award on as our new consultants and I can honestly say I have never looked back. Chris and his team worked extremely hard in checking all our systems and processes, and I know for a fact spent many an evening working on it as well! Since setting up a new updated plan of systems and process within the company Chris and his team have proven to be invaluable in the support, care and personal touch they have shown us, and in many instances have gone completely beyond the call of duty. In the last 11 months the company has now gone from strength to strength and hugely raised its profile with local councils in showing how on the ball we now are with H&S legislation, CDM Random site inspections etc. Every single process Chris has updated or shown guidance on has been praised by our clients and commented on, such as…”Its so refreshing to see a Construction company doing what they say they do as far as H&S is concerned!”…..Hence us now securing more contracts and winning more business. Our relationship has now got stronger and stronger and we now consider Award as an extension of our own company, and long may it continue! When it comes to the training for our members we ask for high standards of delivery and professionalism in all aspects. Award Health and Safety always achieve on both counts, and our members receive true value for money year upon year. We always receive an excellent service from Award. Chris is always on call for any health and safety questions or issues we have during the working week. I find the monthly newsletter very useful to keep me up to date on any industry legislation changes. Award run a wide range of essential health and safety courses which along with the site visits Chris carries out keeps us in good order to retain our CHAS and Construction Line membership.